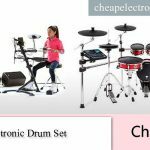 →Buying Drum Set for Kids: Are you Interested in 2019? Many kids enjoy music and will want to own a musical instrument at one point. 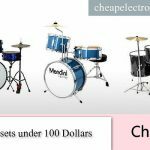 Drum sets are among the most popular instruments that children want. 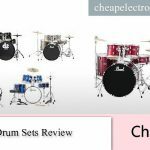 There are numerous choices for this in the market but parents need to remember a few things when buying a drum set for kids. It is important to know that these are not just toys but actual working instruments. The right age must be considered. For children to make the most out of something like this, they must be the right age. The right age bracket for children receiving a gift like this would be three to nine years of age. Children at this age will be old enough to enjoy the drums not just as a toy but as an instrument. There are numerous toy drum sets available in stores but parents looking to invest in the real deal will want to steer clear of toy versions. These may look like good copies but they do not play as well as the real thing. 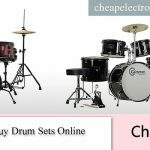 • Price- Toy drum sets may have a wide range of prices, but these are certainly a lot less costly than an actual children’s drum set. Such toys may be bought at less than a hundred dollars or so. 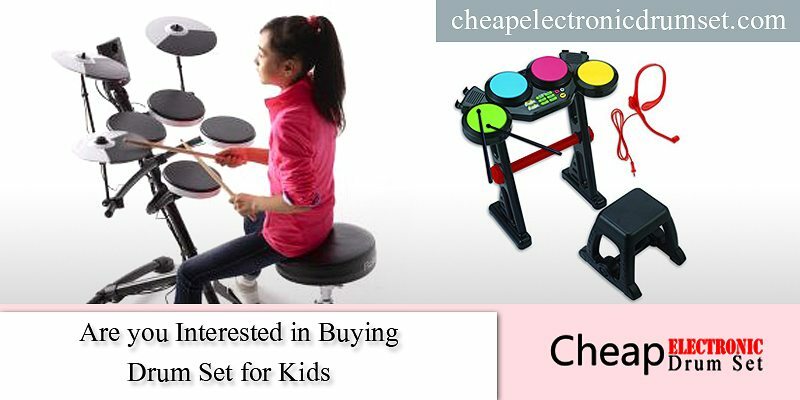 On the other hand, a real drum set for children will cost more. • Materials– The main shell of a real drum is made out of wood. On the contrary, that of a toy will be made out of plastic or a similar material. • Tuning– The biggest difference between a toy and the real thing is the ability to be tuned. Real drums can be tuned so that the sound produces resonance, tone, and projection. Toys are simply copies that do not have any of these abilities. 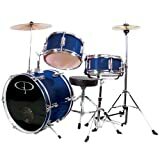 How to Assemble a drum set for kids? 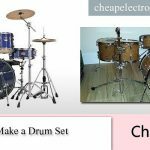 Picking a real drum set will encourage children to treat the item more as an instrument rather than just a toy or a passing whim. Many times, real drum sets are just as good as entry level adult sets. There are two general choices and both of these have their own ups and downs. A three-piece set, also known as a trap kit will have three basic individual drums aside from hardware and cymbals. These are the bass drum, snare drum, and one tom drum. This is generally cheaper since it has fewer parts. It is also easier to upgrade as a child gets better at playing. On the downside, a cheaper set may also mean hardware such as cymbal holders and tom stand may not be as sturdy. A child may also outgrow the set relatively quick as he learns to play. Lastly, not as many large brand names carry three-piece sets so the selection may be smaller. On the other hand, another type of kit for kids is the five-piece set. This consists of five main pieces such as the bass drum, snare drum, two different sized tom drums, and a floor tom. Many music teachers prefer this kind of starter kit if a child is going to take lessons since it is good preparation for a full adult sized set. It will have better hardware and there will be more options in terms of brands. Also, resale values for five-piece kits are generally higher. The only cons to picking this type of kit for children are the price and replacements. It may be more expensive and there will be more parts to upgrade or replace as time goes by. Parents will find that there are many different brand manufacturers for drums. Deciding on which one to buy can be tricky. Price is a major factor when deciding. What comes with the kit, its quality and appropriateness should also be thought about. 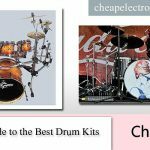 Here are some good kits for three-piece sets and five-piece sets that can be picked from. At about just a hundred dollars or a bit more children get a bass drum with a pedal, a tom and snare all mounted on four legs. All drums are made with genuine wood shells and triple flanged hoops. Also included is a cymbal with cymbal arm, wooden drumsticks, and padded throne. This set is compact and ideal for small spaces and beginners. A three-piece set that has a little more, this contains a ported drum head bass in six lugs, snare, and tom in five lugs. It also has a cymbal, junior hi-hat cymbal with stand, bass pedal, drum key, drumsticks and a throne. A good starter kit for children seriously wanting to learn how to play. how to play this drum? This five-piece starter kit for children comes with everything that a child needs to play. A bass drum, two rack toms, floor tom, and snare all made with wood shells are included. It also has a snare stand, hi-hat stand, and straight cymbal stand. Chain-drive bass drum pedal, drum throne, cymbals, hi-hats, drumsticks, and drum tuning key complete the set. Ideal for 3 to 8-year-olds the set runs for about four hundred dollars but may be discounted at some stores as well. 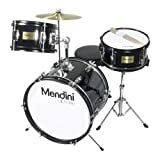 Made by professional musicians for beginners this junior start up a drum set for kids kit comes with a kick pedal bass drum, snare drum, and three tom drums with wooden shells. Two cymbals, drumsticks, and a throne are also included in the kit. A drum key is also included for tuning the toms. A visible GP logo is printed on the bass drum façade, drumsticks, and cymbals too.